(NewsUSA) - Insider tips -- who doesn't love a good (legal) one? And when it comes to buying or selling a house, it turns out some of the very best -- ones that can translate into big bucks -- are those maybe only someone with Brian Williams' imagination would think of. Want to know why, for example, Starbucks may be the greatest predictor of home-value appreciation? Read on. *	March is the most profitable month. For sellers, that is. According to Spencer Rascoff, CEO of Zillow.com, who mined his site's database of millions of homes in co-authoring the newly released "Zillow Talk: The New Rules of Real Estate," properties listed then sold faster and fetched 2 percent higher than average. Buyers, on the other hand, catch a break in December when even New York owners are apparently so demoralized by the cold that they're willing to part with their homes for 2.8 percent less during the second week of the month. "You shouldn't list your house for sale before March Madness or after the Masters (in April)," says Rascoff. *	Your real estate agent's gender matters. Women, because they're "more willing to negotiate," tend to close deals faster, research suggests. But sellers take note: If you can hold out, men -- stubborn devils that they are -- are often better at getting the original asking price. 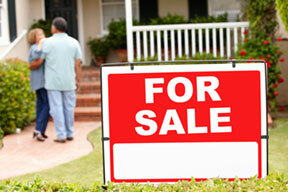 *	A new roof is a sure-fire way to boost a home's resale value. Forget kitchen remodeling. "You could spend a fortune, and it still might not suit prospective buyers' tastes," explains Patsy O'Neill, a sales associate with Sotheby's in Montclair, New Jersey. Replacing an unsightly roof with a spiffy new one -- better for that all-important "curb appeal" -- was one of the very few projects singled out in Remodeling magazine's new annual Cost vs. Value Report for 2015, rising a chart-topping 5.9 percent over even last year's double-digit increase. In fact, says O'Neill -- and, sellers, pay close attention to the psychology here -- if your current roof really is an eyesore, buyers will be "predisposed" to find a zillion other things they hate about your place. Ergo, those craving the look of luxury at affordable prices should check out the Value Collection Lifetime Designer Shingles from GAF (www.gaf.com), North America's largest roofing manufacture. *	The Starbucks Effect. Don't laugh. When Rascoff was checking his data, he discovered that, lo and behold, homes within a quarter mile of a Starbucks had appreciated 31 percent more -; 96 percent vs. 65 percent -; over the last 17 years than others nationwide. "Is it that Starbucks is really great at picking locations, or is that Starbucks is sort of an omen of gentrification?" he writes. "It's a little of each."